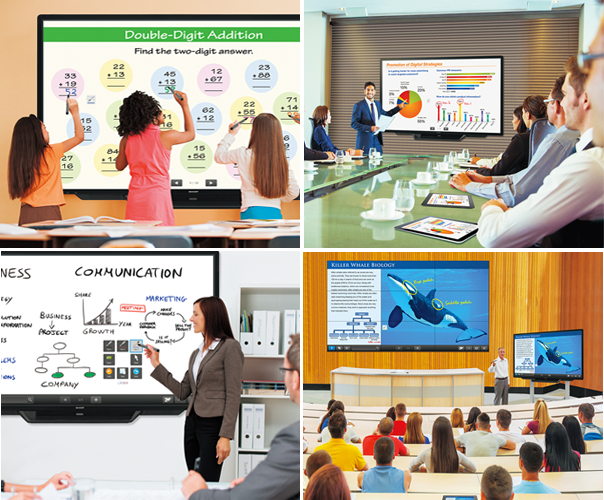 Thank you for requesting "Interactive Displays: Applications, Trends, and Best Practices"
During this webinar, which was recorded live, Wednesday, December 13, 2017, Sharp Senior Sales Engineer Saundra Merollo goes over the many benefits of Sharp's pro AV approach, and the features of its latest Aquos Board interactive display, including the ability to mirror the devices of mutiple users while collaborating. Get collaboration news, case studies, product promotions, and upcoming events delivered to your inbox. AVI-SPL is a global business partner providing organizations worldwide with transformative AV and UC technology solutions and award-winning managed services to create meaningful experiences and brand value for its customers. With a passionate team, including the industry’s most certified experts, we design, build, manage, and support collaborative workplace environments that bring people together and spark success.